A yard that looks like a swamp after a hard rain can be a nightmare for many homeowners. Yard drainage problems can make your yard unattractive, and standing water can also compromise the health of your plants and lawn. Even worse, flooding can encourage pests such as mosquitoes or cause water to seep into a basement. What’s more, you can’t enjoy your yard until it’s repaired. Some yards are more likely to have drainage problems than others. These include situations in which soils are that are dense, flat land and yards with high water tables. If you’re concerned about your lawn draining properly, here are some common yard drainage problems and solutions. Use plants in your landscape that are naturally acclimated to a high water landscape such as fens and bogs. For trees, plant those species that come from similar wetlands. Use wet sun plants for a sunny yard, but if you have a shady yard, choose wet shade plants. Elevate planting areas. Although this can be expensive, it works. If you’re wondering how high you need to raise the soil, it depends on what you want to plant. For example, large shrubs or trees require a considerably greater height so that the root crown is high enough to keep it dry. On the other hand, smaller shrubs don’t require as much height. As a result, the cost is less expensive. Growing plants that prefer soils that are rich in clay can gradually change the nature of clay soil. However, this can take a long time. Adding things that can make your soil more permeable and richer is another option. You can do this either chemically or naturally. The chemical approach can entail adding limestone and gypsum to break up the clay, while the natural method is adding organic matter that’s mixed into the soil to enrich it, as well as help in plant growth. The organic way is better because it doesn’t take as long to work. Creating an underground “soakway” for water to filter down slowly. 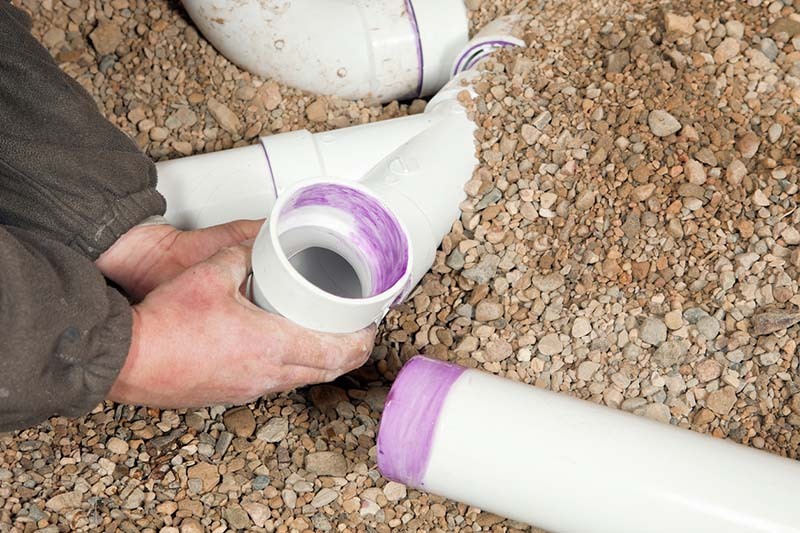 Creating an underground drain is another option for solving a yard drainage issue. The type of underground drain that is typically used is called a “French Drain.” This is basically a ditch that contains a drain covered gravel. Besides using an underground drain for a compacted soil problem, you can also use it for soil that has hard sub-layers. In addition to dealing with rainwater falling directly in a yard, sometimes yards also get inundated by rainwater from nearby structures. By attaching rain barrels to downspouts, you can collect rainwater that would otherwise gush into a yard. Why not save the rainwater and use it for irrigating your lawn. You don’t have to settle for poor yard drainage. Solving this problem can be frustrating and isn’t a job for the average homeowner. That’s why you need to call Johnson’s Landscaping Service. Our highly trained and experienced lawn landscaping designers can complete your landscaping project with proficiency and creativity. Please contact us for all your landscaping needs.